Weight loss and dieting feels like a never ending cycle or movie that plays in our heads. Weight loss and a healthy lifestyle are more relevant today than ever before. Society has become more health conscious, gyms have more memberships, and even fast food restaurants have a “light menu”. Everyone it seems, has jumped aboard the weight loss train, but for many, it’s a train travelling in circles. Scour the internet and you will find every imaginable diet plan or product out there. Equally, you will find those claiming to be gurus, the ones on late night television staring in infomercials. The gurus pop up all the time, trying to make fast money, but there is always one thing they forget to mention about weight loss and a healthy lifestyle. What’s the fastest way to lose weight? Is there a diet plan that actually works? Believe it or not there is an answer to all 3, and it comes from many Doctors, scientists and several world healthy organisations. The trouble is it takes work, and a commitment like no other. Taking care of ourselves most of the time isn’t at the top of our lists. Many of us are parents for example, so our families come first, or our spouses or work, and so on. One of the best ways to lose weight and keep it off is simply walking. Walking every day at a pace you’re comfortable with will help increase energy, and most of all, help you to lose weight. Following an expert’s advice, like your doctors or even a personal trainer, you can create a healthy exercise plan for each week. This can include some walking or running depending on what level you’re at. It can also include medium level exercises and advanced. The best way to go about setting up an exercise plan is seeking advice from the professionals. Water is just good for you, plain and simple. Drinking water throughout the day, every day has incredible health benefits. Flushing out ones system is a great way to kick off your new healthy lifestyle as well. Some will even consider fasting as a good way to cleanse the body, but seeking the advice from your Doctor first is always recommended. Education about food is something we always recommend for obvious reasons. There are in fact some good fats for us, like omega-3 fatty acids, then there are bad fats like those found in processed foods. Sugars as well need to be cut out or cut down, again depending on your body type, and health rate. There are even some super foods you can eat to help you burn fat. All of the above ideas are drilled into our heads just about every day. 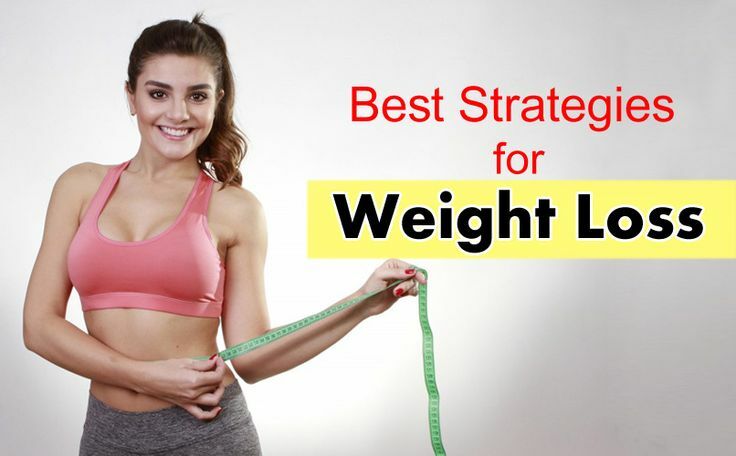 These are common ways to lose weight – not so much common, but also very essential to follow a healthy lifestyle. But, are there any other ways that help you to lose weight and keep it off? Or things you can do to start changing your lifestyle a bit? We’re pretty sure you’ll enjoy this one! Breakfast is the most important meal of the day, and we shouldn’t have to keep saying it. But what if we told you that you might be doing it wrong? Is there really a wrong way to eat breakfast? It’s not so much in the way we eat, but what we eat. Sugary cereals for example are horrible, and you actually can crash later in the morning while at work. No amount of coffee will save you either. Eating a healthy breakfast with bigger portions is a strategy that’s been proven to work. Studies show that people who eat a big breakfast lose almost 10 pounds across a 7 month period. That’s not too bad, and an extra added bonus for you as well. The right breakfast, and right amount supplies you with the energy you need to stay awake. This may sound a bit crazy but it works! There are several ways to trick your brain into thinking you are full or don’t really need that second full plate. Peppermint is a powerful and very fragrant herb that can actually help you eat less. It also can help you from overeating, and all you have to do is add some peppermint to your dishes. 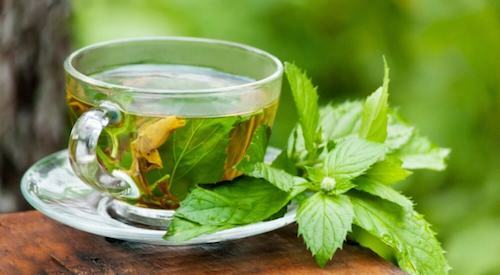 Drinking peppermint tea can stop you from snacking on bad foods. How many of you eat while cooking? This is a very bad habit, and one that leads to weight gain or just never really keeping the weight off. If you chew peppermint gum while cooking, you stop yourself from eating all those little nibbles or what you think are little nibbles. The trouble is they’re not little nibbles if you’re taking a small piece of everything you’re cooking with. Colours are powerful, and we’re willing to bet you had no idea that specific colours can help supress appetite. The power of the mind is more incredible than you think or should we say, you’re more powerful than you think. The colours blue, violet and grey actually supress appetites. Studies show that if your kitchen appliances are blue, you will eat 35 per cent less! Consider even painting your dining area blue or buy a blue plate set. Colours are incredibly persuasive, and even used in several famous restaurants. Did you know that McDonald’s even uses specific colours for the inside of their restaurants so you’ll eat faster and get out! It is fast food after all, and they need to keep people coming in and out like a revolving door. Would you consider yourself a clean and tidy person? Or are you still re-living the college days when you just didn’t give a damn? Did you know that your environment, meaning what’s around you can determine your eating habits? Well, think about those college days for a moment; the messier you are the more likely you are to eat unhealthy foods. You don’t want to clean therefore you’ll order in! So if you keep your surroundings tidy, and clean, you’ll likely starting eating healthier as well. This brings us to another important point – dining out all the time is very unhealthy and make it harder to lose weight and keep it off. Cooking your own meals at home in a clean environment using fresh foods like vegetables, meats or fish, can not only save you loads of money, but help you stabilise your weight. Chop sticks are not as difficult as you might think. One thing is certain, if you learn how to use these, you’ll be eating a lot slower. The faster you eat, the hungrier you’ll be later…and we’re not talking about Chinese food. Any or every meal you eat at full steam ahead is pointless. You will want to snack later, and the snacks we choose are never the right ones. The best part about chop sticks is you don’t need to be an Asian cuisine fan to use them. Use them at home every day and for every meal and type of food. 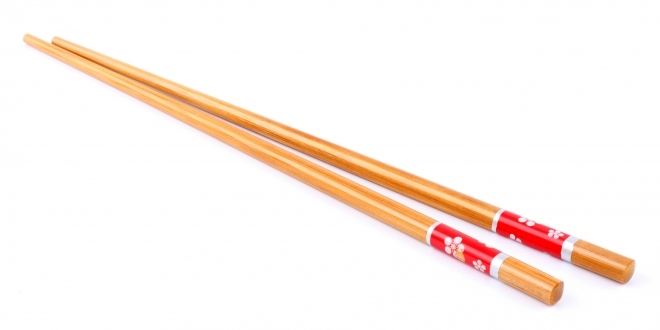 Chopsticks will make you eat slower, which in turn gives your stomach enough time to send off a signal to the brain that you are getting full. The result is you eat a lot less. Origins of Obesity – where did it come from? A lot less equals weight loss. Do you have any other extraordinary ideas to lose weight? Let us know in the comment section below, and we will post the ideas to Facebook.